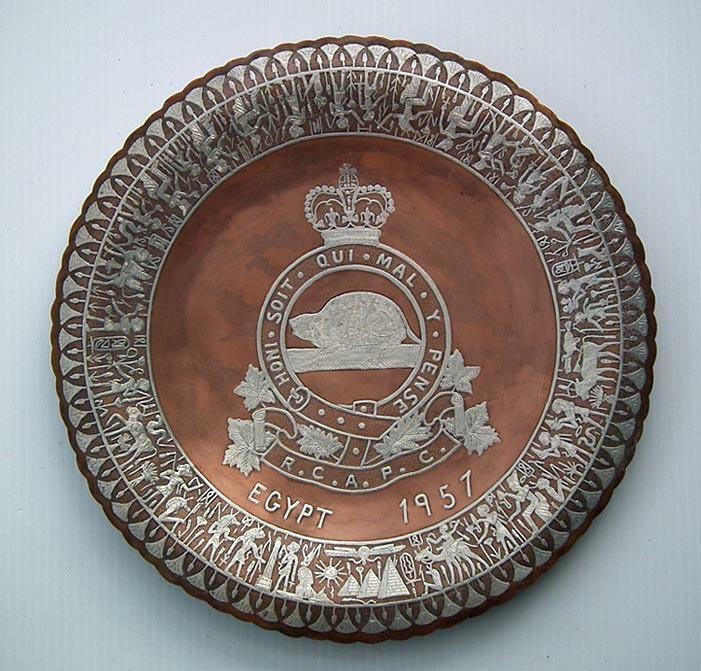 A Semi-antique, heavy silver inlaid, copper “Cairoware” presentation, commemorative plate, commemorating The Royal Canadian Army Pay Corps (RCAPC) service in Egypt, during the Suez Crisis. Within the Garter and motto "HONI. SOUT. QUI. MAL. 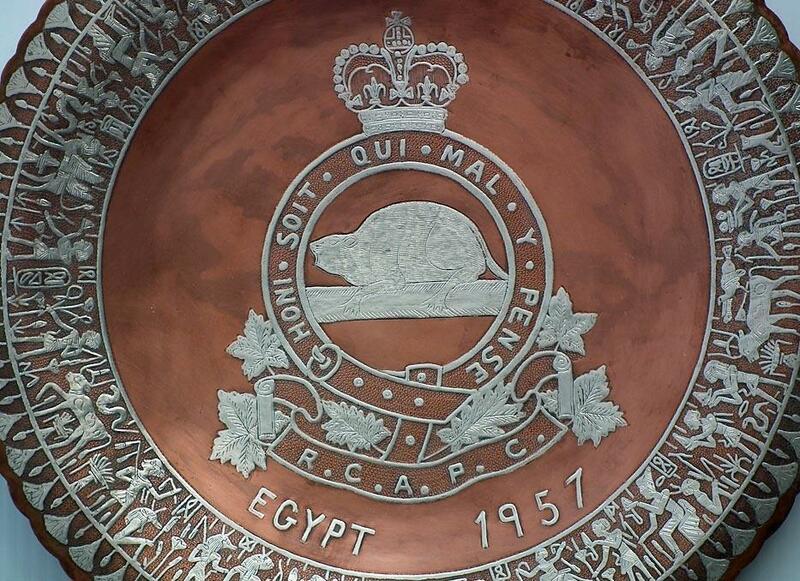 Y. PENSE", a beaver resting on a log; below the garter and supported by a spray of six maple leaves, a scroll inscribed "RCAPC"; the whole surmounted by the Crown. 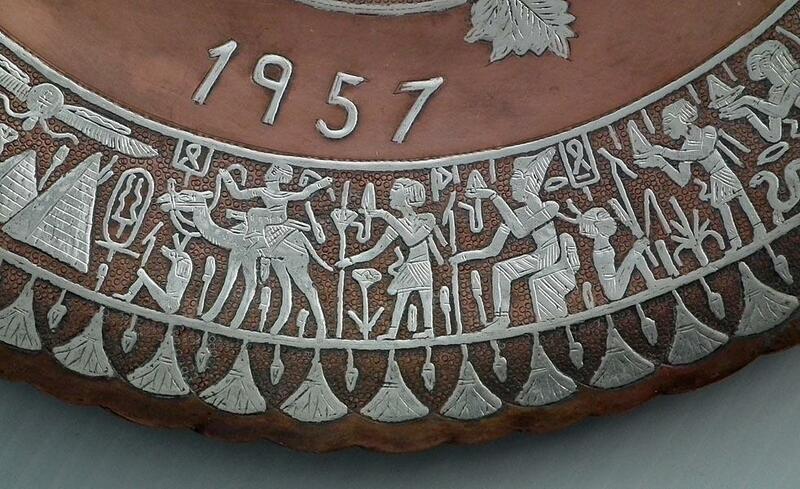 Below, EGYPT 1957. 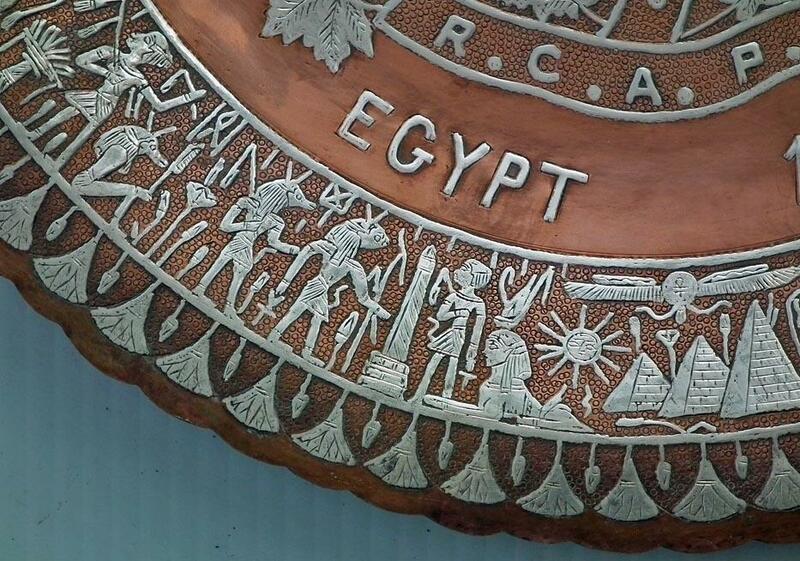 Within the border adorned by chunky silver inlay, finely hand chiseled with continuous ancient Egyptian motives, including figures of pharaoh’s obelisks figure of gods’, pyramids and others symbols, on the punched surface, the scalped rim bordered by silver inlay, and engraved stylized lotus flowers. 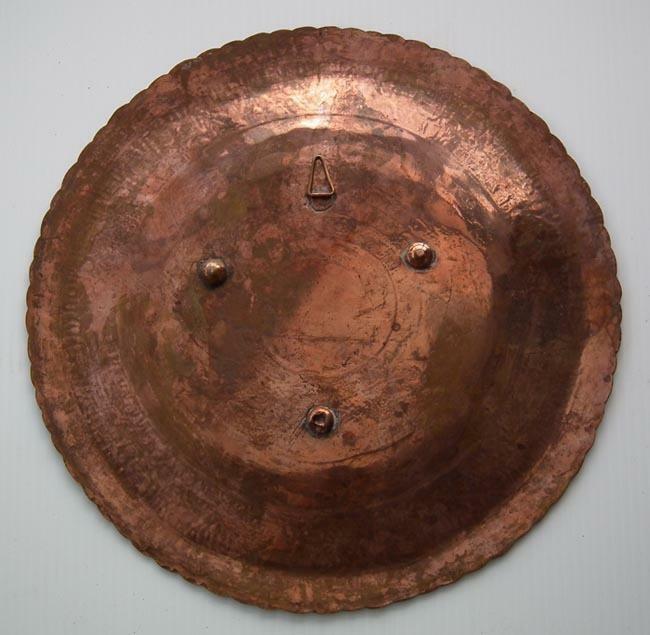 Diameter: 34.9cm (13 3/4 in). 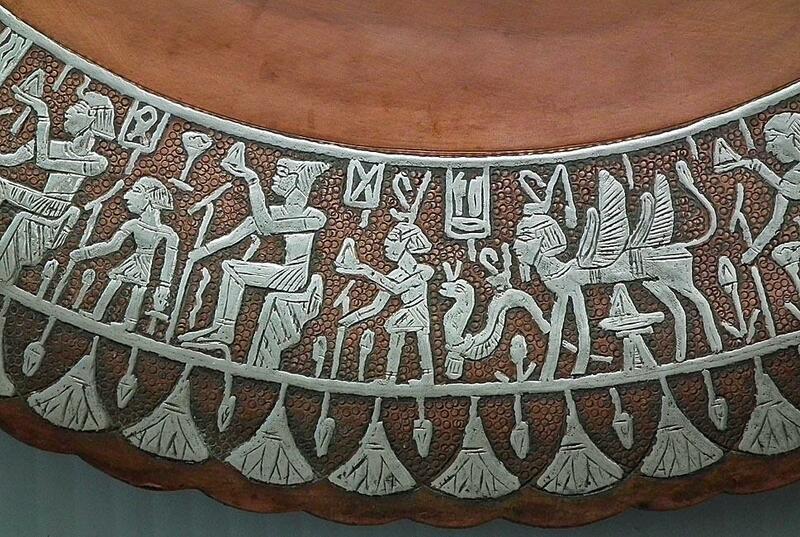 CONDITION: In very good condition with a 100% silver inlay intact.